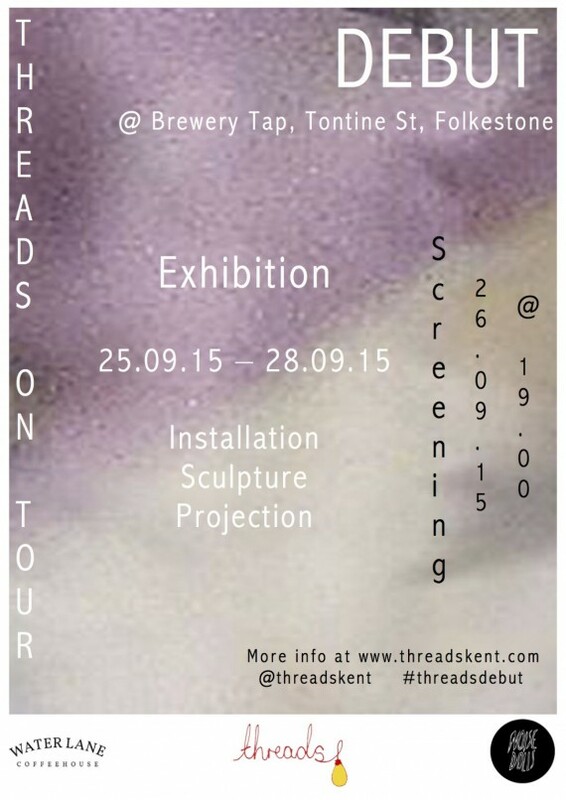 Threads is going on tour, first stop, Folkestone! join us as we pop up in the trendy Creative Quarter! We are honoured to be taking on University for the Creative Arts‘s Brewery Tap space situated in the trendy Creative Quarter Folkestone to host our first pop-up exhibition. This exhibition was free for Artists to enter. We called out to Performance, Projection, Installation and Sculpture Artists to exhibit and have received application requests from Wakefield…to Holland!